Get stronger, healthier teeth and gums. work differently to protect your smile for years to come*. The key to a healthy smile? A healthy mouth. And unlike regular toothpastes, ARM & HAMMER™ Toothpastes harness the natural power of baking soda (otherwise known as sodium bicarbonate) to go beyond cleaning to give you stronger, healthier teeth and gums for years to come*. Unlike non-baking soda toothpastes, ARM & HAMMER™ Toothpastes go beyond cleaning to give you a whole mouth clean you can feel — and so much more. 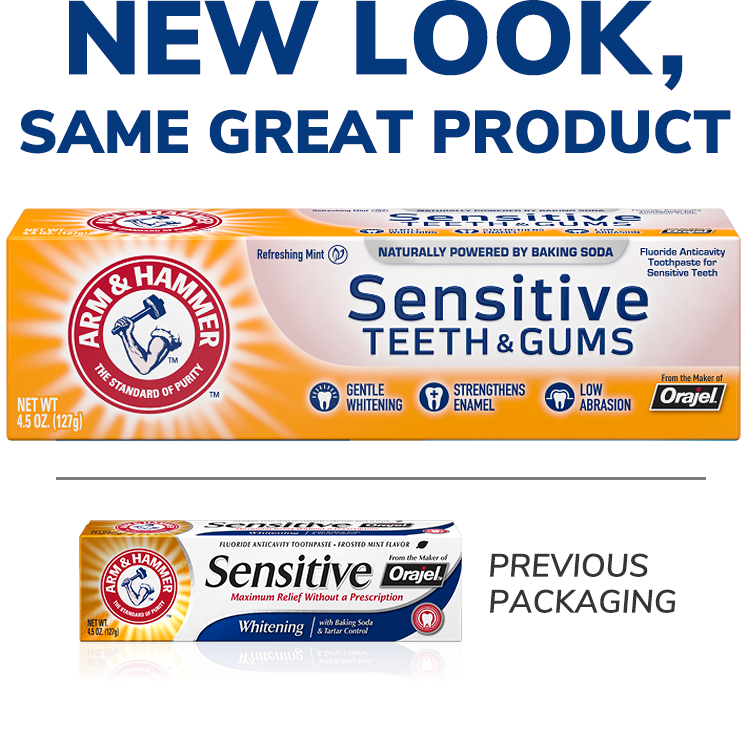 Penetrating Bubbles: The natural, effervescent cleaning power of baking soda in ARM & HAMMER™ Toothpastes starts working as soon as you start brushing, quickly dissolving into an active, bubbling foam that leaves your teeth squeaky clean, and leaves your mouth with that “just-brushed” feeling that lasts — and lasts. 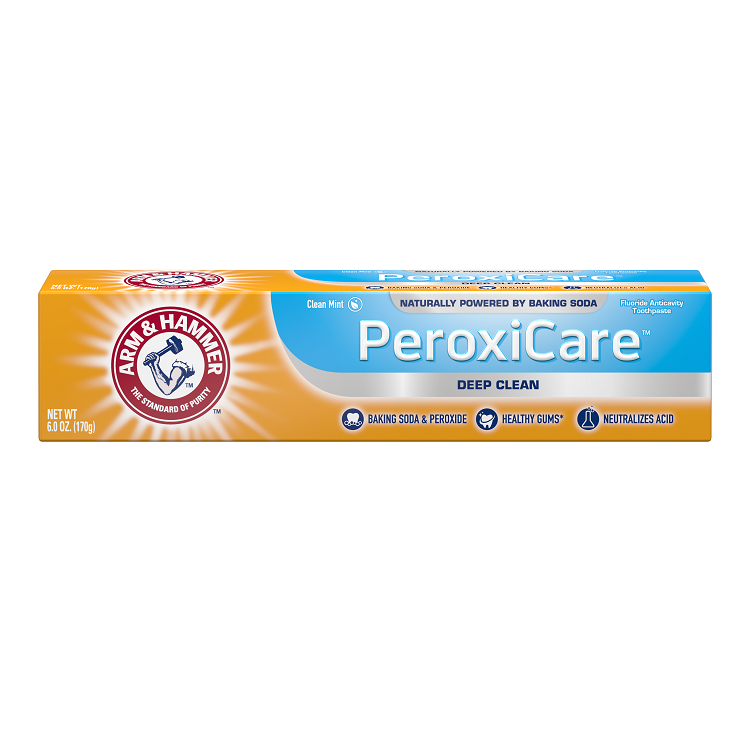 Attacks Plaque: ARM & HAMMER™ Toothpastes are clinically proven to remove up to 5 times more plaque in hard-to-reach places than non-baking soda toothpastes — going beyond the brush to clean deep and strengthen enamel. Baking soda offers a safe, effective and proven way to whiten and brighten your smile, by gently lifting and removing surface stains without harming your enamel. Our Advance White™ Extreme Whitening Toothpaste not only gently whitens, it also removes stains and prevents new ones from setting in with Stain Defense™ technology. Even though enamel is the hardest substance in the body — even harder than bone — it’s still vulnerable to damage from decay-causing plaque acids and highly abrasive toothpastes. Damaging your enamel can cause your dentin to be exposed, which can lead to tooth sensitivity, cavities and a yellow tint to your teeth. 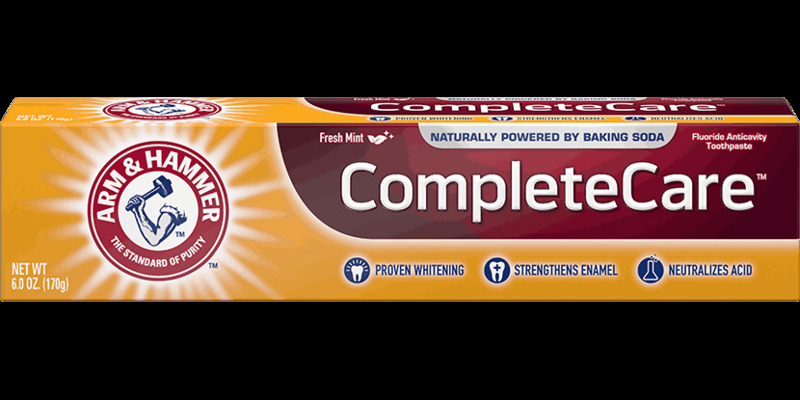 ‡ While this is an average, no ARM & HAMMER™ Toothpastes have an RDA higher than 135.